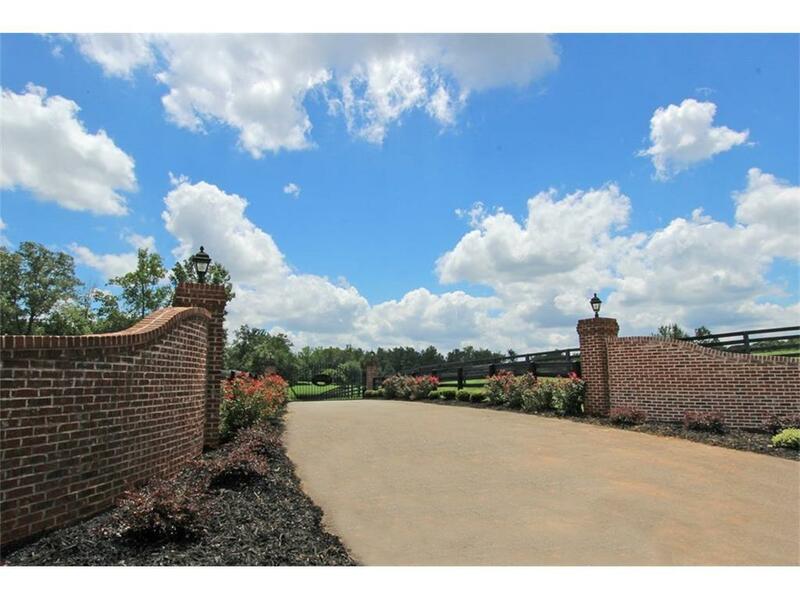 Impeccable world class 20 acre gated equestrian training facility in the heart of prestigious Milton features outstanding barn for 10 horses to live in luxury, 20+' tongue & groove ceilings, auto-water, 3 hot/cold wash racks, 2 BR manager's apartment above barn, separate groom's "English" cottage, stallion paddocks, 100x200 ring w/lights & sprinklers, several board fenced lush irrigated pastures, perfect building site awaits your dream home. Priced below new appraisal. Be sure to click on the virtual tour button for a breathtaking aerial view! Directions: From Ga 400 Take Exit 11 Windward Pkwy Westbound. Windward Pkwy Becomes Cogburn Rd And Then Hopewell Rd. Stay Straight Until Left At Birmingham Rd. Irish Oaks Farm Is On The Left.